Investments in Renewable Energy sector is increasing each year, and Hawke are proud suppliers of cable glands, connectors and control stations for the industry. Our products are globally certified for hazardous, industrial and marine environments, making them ideal for onshore and offshore wind farms, hydroelectric plants and other power generation applications. 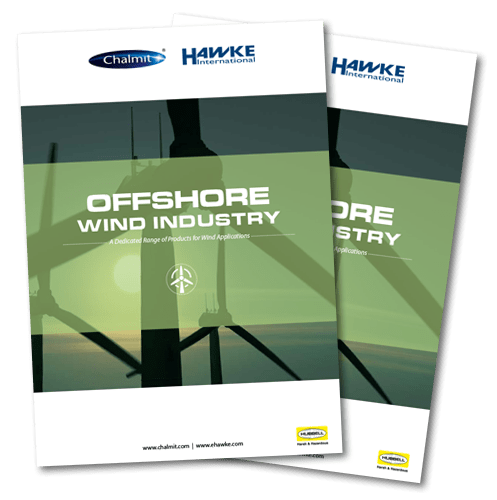 Discover our most popular products for the Renewable Energy industries, and download our Offshore Wind catalogue, below. The HazCon control stations can be specifically designed to suit our customers' every need. The five alternative enclosure sizes, the choice of GPR or stainless steel bodies and our wide range of actuators ensures that our control stations are ideal for any application. The 501/453/UNIV is a robust, flameproof and dust protected cable gland designed for Zone 1 and Zone 2 applications. The cable gland boasts a variety of features, including the patented Reversable Armour Clamp. 153/RAC is equally suitable for outdoor or indoor use. The cable gland provides two independent seals on armoured elastomer and plastic insulated cables. The 121 industrial cable gland is ideal for use with non-armoured elastormer and plastic installation cables. It is suitable for outdoor and indoor use. Read about the other markets we deliver our products to!